Intel’s crown jewel these days is in the data center. It’s one of its fastest growing and most profitable divisions for the Santa Clara based chip maker. In 2015, its data center division contributed $16 billion in revenue with $7.8 billion in profit and it has a 99% market share, and for that, Intel can charge huge price tags for companies to get hold of that silicon. But one of Intel’s biggest customer here, Google, is eager for more competition and it’s looking at rival chip maker Qualcomm for help. At Qualcomm’s recent analyst day Google added it’s voice voice to support for processors based on the ARM chip architecture – instead of Intel’s more popular x86 chip architecture and sources report that the companies are already working together on a server chip and that Google will use the Qualcomm processors only if it meets certain performance benchmarks. This isn’t the first time that Google has expressed support for other non intel chips. Two years ago they began supporting IBM’s now open sourced Power processors but so far Google, who often prefer to stay quiet about what hardware they’re using hasn’t revealed much about the new initiative, or whether they’re now using the chips in anger. 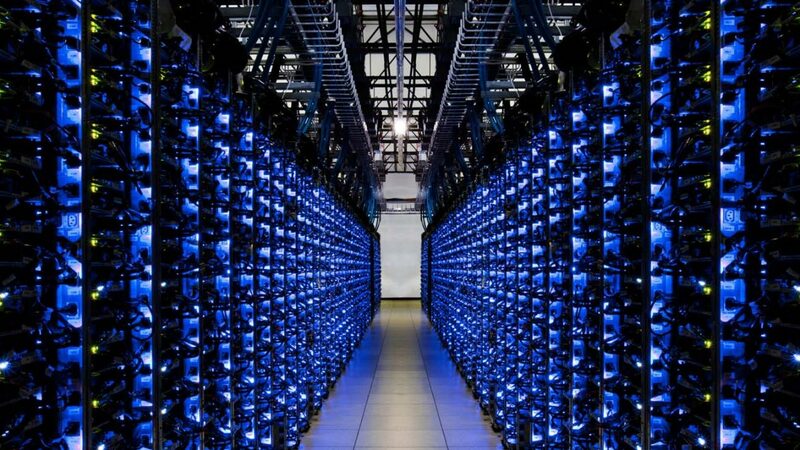 It’s undoubtable that managing to hook Google as a data center customer would be a major deal for Qualcomm because Google is one of the world’s biggest server, and ergo, chip buyers. For example this year alone Google plans to spend $12 billion on its cloud business and buy an estimated 300,000 chips per quarter. And in a recent note Pacific Crest Securities estimated that Qualcomm could get $450 million in additional annual revenue if the partnership moves ahead in the way they expect and that that would hit Intel’s revenue by $1.3 billion. It’s still very early days for Qualcomm’s server business. Qualcomms, whose core business is providing the wireless and processing chips for much of high-end smartphone market, first announced its plan to move into the data center business in late 2014 when they showed a video with Facebook’s vice president of infrastructure engineering, Jay Parikh, voicing support of Qualcomm’s plans. “Qualcomm-based ARM servers gives us the ability to rethink the way that we have built certain parts of our infrastructure,” he said in the video. While Qualcomm hasn’t released its first server chip yet last October, it revealed a few details for an ARM-based “system on a chip” with 24 cores that could handle server processing loads and it also announced a partnership with the regional Chinese government of Guizhou Province – located in southwest China – to form a joint entity for deploying Qualcomm’s server chips in the country. The Chinese provincial government and Qualcomm together are investing $280 million into the new venture. A majority 55% will be owned by the Guizhou government, while the rest will be controlled by Qualcomm. All that said though the path to finding an alternative outside of Intel’s dominance in the data center is littered with failures. Various companies over the years have announced efforts to start selling ARM based processors for the data center, but they have usually fallen by the wayside when their silicon proved too weak to handle the data center processing loads. Calxeda, for example, shut down in 2013 after raising more than $90 million in venture capital to build ARM chips for servers and the ARM architecture that Qualcomm licenses is particularly well suited for low-powered devices such as phones and tablets, not power-hungry servers. But then again, all that might change so watch this space.